During a recent trip to Nova Scotia, Prince Edward Island and New Brunswick the calm grandeur of the surroundings transformed my travel into a personal experience full of awe moments. The tiny Maritime Provinces, their size defying their political and splendor, a collage of myriad images, metamorphosed into an unpretentious dazzling largesse. The eight days road journey along magnificent coastal vistas, water bodies and landscape unraveled culinary, cultural and ecological marvels that had and continues to lure seafarers over centuries. Perched on an inimical cliff along Peggy’s Cove Lighthouse, (Nova Scotia) I could visualize the Vikings braving the cold choppy waters in search of new lands way before Christopher Columbus discovered America. Halifax, Nova Scotia …. It is a clear cottony day when we flew into Halifax, the capital city of Nova Scotia, from Toronto. Our eight-day road from June 10-18 beat the tourist inflow from 1st July, thanks to Canada’s 150 years anniversary. I was looking for the ‘aura of happiness’, a Halifax disposition, as we walked, wined and dined amidst ancient, commercial and maritime lapped up by invigorating sea breeze from across the cold Atlantic north. The serrated winding coastlines, parks, monuments, gastronomic delights and fables provide the extra effects for travelers to stay grounded in this artistic abode. Halifax was/is one of the busiest ports on the East Coast continuing from the World Wars, First and Second when ships crossing the Atlantic would seek protection against attack from German U-boats. In 1917, the French munitions ship, “Mont-Blanc,” which had arrived to join one such convoy, collided with the Belgian “Imo,” causing the world’s worst on par with Hiroshima atom bomb explosion in 1945. The northern end of Halifax was razed to the ground killing about 1,400 people and injuring about 9,000. The impact was felt as far as Truro, some 100 miles away. 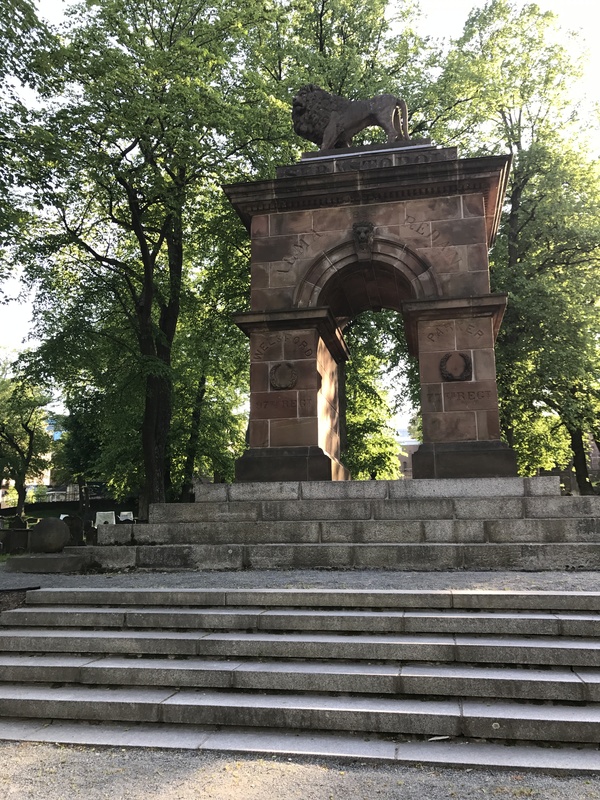 Exploration: With two days to explore Halifax, from coastline to monuments, we traced our steps around manicured parks nestling between heritage buildings, the thriving arts and culinary scene, the craft-brew culture, the scenic placement of the waterfront and ferry rides. Homewood Suites by Hilton, Halifax-Downtown, was our starting point, we had booked in advance, walking distance from the Waterfront and heritage buildings. 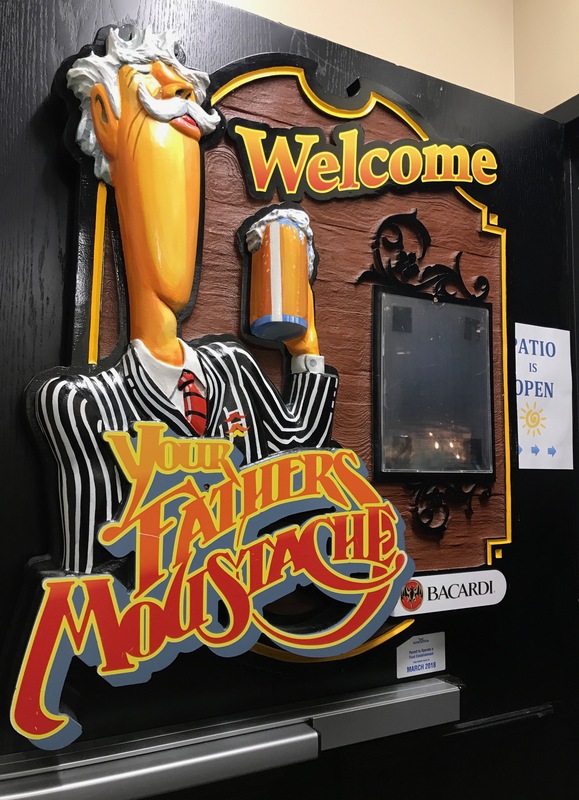 Day 1….Andrew Keith’s brewery. Halifax is a city of pubs and clubs and the best way to begin visit is to take a conducted tour at this original 1820 brewery on Hollis Street in downtown. The brewery, considered a ‘Jewel in the crown’ of Halifax, is a popular tourist destination and we spent an hour listening to Andrew Keith’s legacy to the brewing process via stories, costumed guides, songs and tastings at ‘Stag’s Head’, the historic pub in what was once the ageing cavern of Mr. Keith’s Brewery. Relaxed and satiated on India Paling we amble towards the waterfront. The setting sun is a signal for revelers to congregate and before long we were weaving our way through the “Historic Properties” area refurbished into an attractive pedestrian precinct of 19th century stone warehouses and old wharf buildings. Glittering gift and coffee shops, arty studios, restaurants with patio dining overlooking the waters immerse this vehicle free area in a fizzy ambience. This is the place to lounge about, to stare across waters dreaming of ‘Ancient Mariners’ as they braved the cold waters. 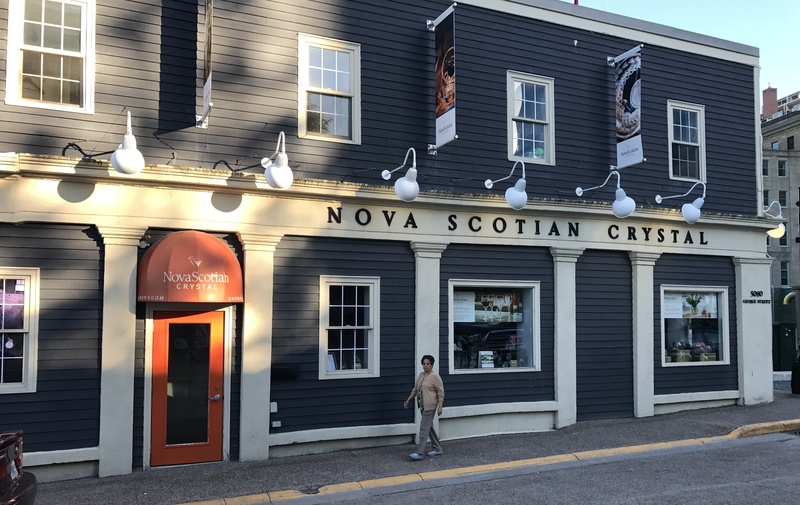 Not interested in shopping I just peeped into NovaScotian Crystal , Canada’s only mouth-blown hand-cut crystal store. No trip to the waterfront is complete without a lick of COWs ice cream and though tired after a long day joined the queue patiently waiting for turn. We returned again next day, after the trip to The Citadel’. Day two…. 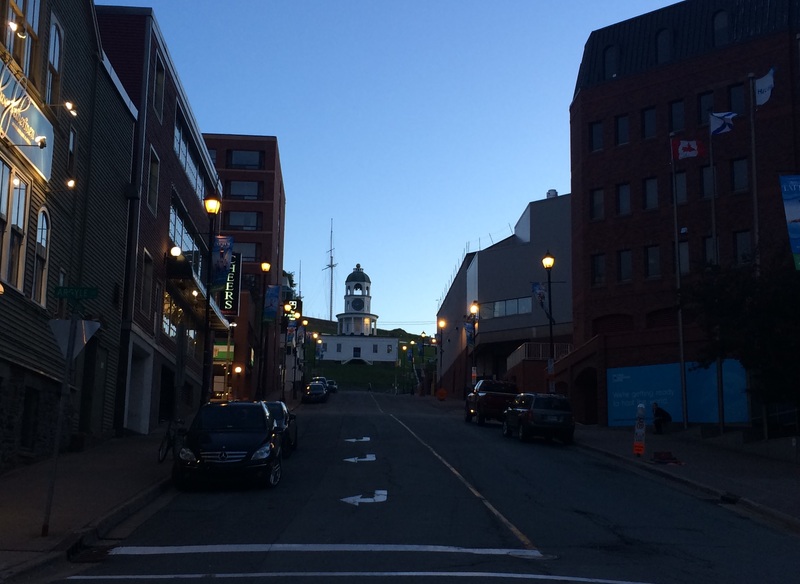 Halifax is a ‘walking city’ and staying in downtown helped as historical structures are within walking distance. The first or closest on our list was the Halifax Citadel National Historic Site. This 19th century British fort, constructed in 1856 atop a hillock, was possibly a cosmetic deterrent, never experienced an attack, for invaders from the sea or land and a safety vanguard for the strategically important Halifax Harbor and Royal Navy Dockyard. A steep road leads up to the Fort, we preferred driving to the gates, and a selfie break with the kilted guard stepped inside a massive courtyard. The ramparts offer excellent views of the city, the harbor, Dartmouth, little Georges Island, the Angus L Macdonald Bridge and the Old Town Clock, a Halifax icon. Prince Edward, Duke of Kent, the then Commander-in-chief of the military of British North America had commissioned the clock to resolve the ‘tardiness of the local garrison’. The clock tower is a three-tiered octagon tower built atop a one storey white clapboard building on the east slope of Citadel Hill facing Brunswick Street. It is an enduring memorial to the punctuality of a strict disciplinarian. Once inside the Citadel, open year round, one can take a conducted tour or be on own to watch the audio-visual presentations at the Museum, listen to the Scottish bagpipers, the booming daily ceremonial firing of the noon gun or the animators portray the 78th Highland Regiment stationed between 1869 and 1871 at the Citadel. Closer home Nova Scotia had a role to play in the Indian Mutiny of 1857 when one William Hall (VC) and Sir John Eardley Inglis participated in the Siege of Lucknow (North India) and who were later posted at the Citadel (Fort George). From the Citadel we went to Pier 21 National Historic Site showcasing the welcome of more than one million immigrants to Canada from 1928 to 1971. Two days are insufficient to see and do everything and few places we missed was the Art Gallery of Nova Scotia, the largest art museum in the Atlantic Provinces on Hollis Street. Going by the brochure the museum ‘features a permanent collection of visual arts from the Maritime and around the world, numbering more than 13,000 pieces; The Maritime Museum of the Atlantic, located near the Discovery Center, presenting permanent collections of The Titanic, the Halifax Explosion and Shipwreck Treasures; Halifax Central Library, one of CNN’s 10 eye-popping buildings of 2014, corner of North Park Street and Cogswell Street; the Halifax Public Garden one of the finest surviving examples of a Victorian Garden in North America replete with exotic and semi-tropical ornamental species, trees, shrubs, statues, and fountains. What I bee-lined for was the Old What I bee-lined for was the Old Burying Ground with rare 18th century graves. Founded in 1749, this was Halifax’s first burial ground for several decades for the locals, the Haligonians. The Ground was restored in the 1980s and today there are 1,200 headstones, some having been lost and many others being buried with no headstone. I later read that the most notable among the interred was British Major General Robert Ross who was leader of the 1814 Washington Raid and had burned the White House before succumbing in the battle of Baltimore few days later. From here we were back to the Waterfront Broadwalk to board a ferry for Dartmouth on the eastern shore of Halifax Harbor. Dartmouth was founded with the Alderny (ship) arriving with 150 immigrants into what then was a Mi’kmaq settlement called Boonarmoogwaddy. This sounds more romantic than staid Dartmouth, the new name for the settlement. Halifax and Dartmouth are one autonomous region of Halifax Regional Municipality. The ferry berths at Alderney Landing showcase a convention center, art gallery, market (weekly Farmer’s Market) restaurants, shops and theater facilities. A brief round of the place and we were walking past the Events Plaza towards Ochterloney Street lined with locally owned shops, galleries, cafés, restaurants, and pubs and the Quaker House a reminder of the early European settlement of 1700’s and its whaling industry. In 1785, at end of the American Revolution, a group of Quakers from Nantucket arrived in Dartmouth to set up industry and constructed homes, a wharf for their vessels and a factory to produce spermaceti candles and other products made from whale oil and carcasses. But within a decade (1795) the Quakers moved base and a residence preserved as historical reference. At time of our visit the house was closed and only opens during tourist season. In our eagerness to beat the tourist traffic of Canada’s 150 years celebration we had timed our trip in early June. The tourist season starts from July onwards. One needs more time to explore the ‘City of Lakes’ with its parks, walking, hiking and biking facilities, the Shubenacadie Canal, historical monuments and museums. 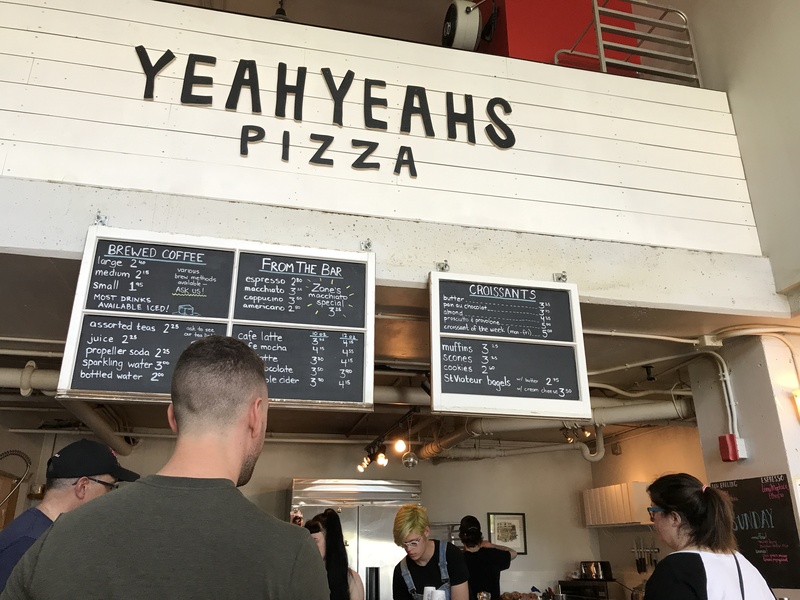 By now hungry and not much of seafood aficionados walked into Yeah Yeahs Pizza, (Ochterloney Street) a preppy place serving thin crust pizza (yummy) and coffee amidst an arty setting. A gratifying day coming to an end and we walk the lanes admiring antiquated houses towards the return ferry to Halifax and another slurp of COWs ice cream.